This week Metamoris announced their next PPV event line-up, set to take place on May 9th, headlining Josh Barnett vs Roberto Abreu Cyborg. Lots of big names but surprisingly no women! Out of six Metamoris events, including the upcoming one, only one has had a women’s match. The first time Metamoris had a women’s jiu-jitsu fight on the card, was back in June, 2013. Michelle Nicolini and Mackenzie Dern fought hard, and the high-intensity match resulted in a draw. Hopes were high that this would open doors for other female athletes. Sadly the doors remain closed, and viewers are getting grumpier. Why no women are invited to compete at Metamoris remains a mystery. It is really not that hard to find top-notch, hard-working grapplers; just look around! Could this be the next big thing in women’s jiu-jitsu and grappling? Possibly. On June 1, at the 2014 IBJJF Worlds, Michelle Nicolini added yet another world champion title to her impressive list of achievements. She is the only woman who has won world championships in light feather, feather, medium heavy, and open weight classes. Her latest win over Tammi Musumeci was the most talked about match of the 2014 championship, and the devastating arm lock she applied on her opponent was a submission most of us had never seen. 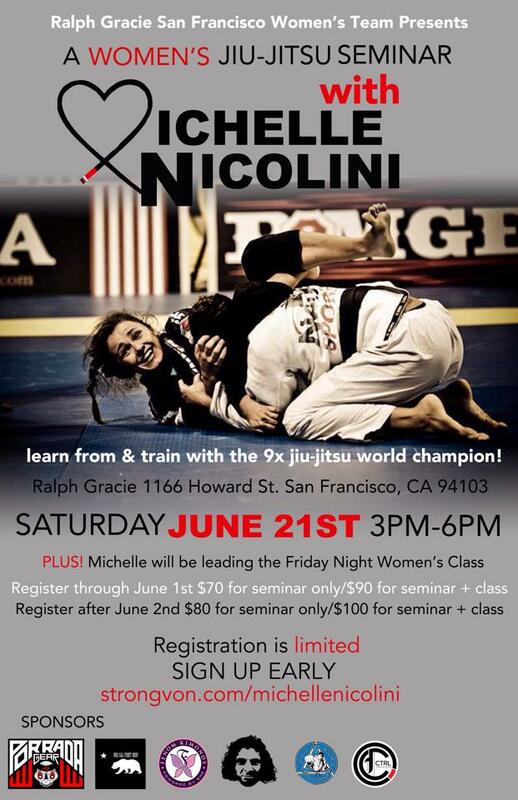 Michelle Nicolini is spending the rest of the month of June teaching Brazilian jiu-jitsu for women on both coasts. She is in Massachusetts, at Worcester MMA, June 9-14. 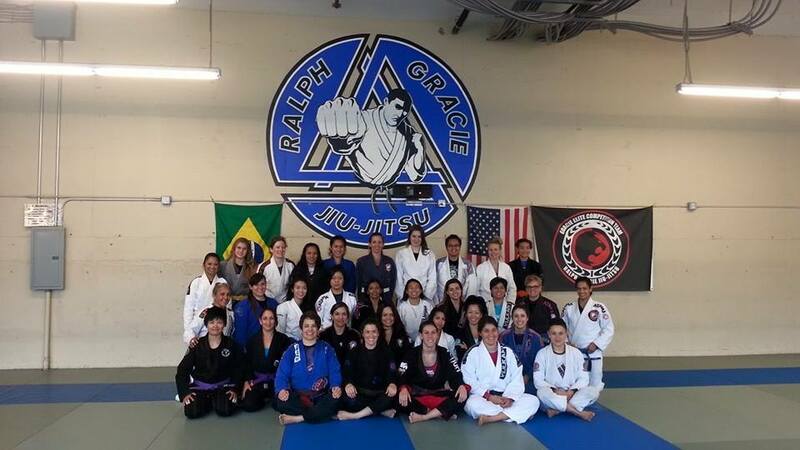 The following weekend you can catch a women’s bjj seminar with her in San Francisco, at Ralph Gracie BJJ, and back to the East coast for the Grappling Girls Guild camp June 27-29, in Washington, DC. Don’t miss the opportunity to train with the most decorated black belt competitor, and learn the secrets of her annihilating submissions. We are pleased to introduce you to our next fenomenal woman, Irena Preiss, a 26-year old brown belt from Krakow, Poland. She is a pedagogy student, follows vegetarian lifestyle, and loves art and cats. She is one of the few female referees in MMA and BJJ in Europe. Read more about what she has achieved so far, and what she wants to do next. Everyone meet Irena Preiss! How long have you been training BJJ and where do you train now? I started training in 2003 in my hometown Stargard under coach Tomasz Stasiak from Berserker’s Team. When I saw BJJ for the first time, I was shocked: two guys sweating and laying on top of each other! But then I saw someone tap to a choke, and I decided to try it. It was much different from what you see today. We did not have much knowledge but we loved training, and Tomasz was a super talented coach. After a while I moved to Szczecin and things started moving fast under Piotr Bagiński’s coaching. I won Polish Nationals in 2005, silver at ADCC European trials, and gold at the IBJJF Europeans in 2006 as a blue belt. Unfortunately, in 2007, at the European Championship I suffered a serious back injury. I could not feel my legs for a few hours. I was forced to quit any kind of sports for two years. I came back early in 2009 and had the honor of representing Poland at SportAccord Combat Games in Beijing in 2010 where I placed second. I had very successful 2010 and 2011: gold at FILA Europeans, gold at the 2011 Worlds, silver at IBJJF Europeans as a purple belt and qualified for World Pro in Abu Dhabi at Warsaw trials. Since then I have had ups and downs, I’m recovering from an ACL injury and I focus more on refereeing. Now I live in Krakow, and train at Grappling Krakow under Maciej Szczudrawa. Did you do another sport before jiu-jitsu and what does your family think of it? I have always been a very active person. I ran, played basketball and volleyball but nothing as serious as jiu-jitsu. It was just for the pleasure of being active. My other great passion is sailing, probably because of my father who is one of the best sailors in Poland. Now I’m also starting to like CrossFit a lot. This is actually funny, my parents didn’t know that I had started training. My mom was really scared and thought that BJJ was a hard combat sports and that I would get badly injured in training. I had to hide my training gear outside of the house. After a while she accepted my passion. Now my parents are my biggest fans, they even went to the European Championship with me. What is your favorite tournament so far? Favorite submission? The best tournament I competed at was SportAccord Combat Games in Bejing, in 2010. They had the whole show on the Olympic Arena and was very well-organized, it was 110% professionalism, truly outstanding! It was a pleasure to be invited to such a big event. I have never seen same level of organization and hosting again, not even IBJJF or Abu Dhabi World Pro. I did not have much experience back then, and I lacked a lot of confidence. Looking back I see the mistakes that cost me the gold medal. Here in Poland I always compete against the same girls over and over. The good thing is that they are all very, very good. The bad thing is that sometimes at tournaments there is no-one in my category. I prepare for 3 months and then I have only one match with a much large opponent. I try to travel abroad to compete but it is expensive and depends on the sponsors. My favorite submission is definitely the triangle. Since I started training, I’ve always tried to catch someone in a triangle. It’s for sure my strongest weapon! Do you have a lot of female training partners? Do you have a female BJJ role model? When I trained in Szczecin, I had the best Polish female competitors training with me, so I cannot complain about the lack of women on the mat. Sometimes I train with my good friend Marysia Malyjasiak. She is the best in Poland right now, a purple belt and a world champion. She is heavier than me but girls move differently and we always have good sparring sessions. Like in tennis, women’s tennis and men’s tennis are two different sports. Same goes with BJJ, women move in a different way, different power. Of course the positions are the same (armbar, triangle, guard pass, etc) but it is still different. If I have to choose one lady in women’s BJJ that I like to watch the most, I would have to say Michelle Nicolini. In my opinion, she has the best guard, nice leg locks, she can effortlessly move up and down in weight classes and still win gold medals. 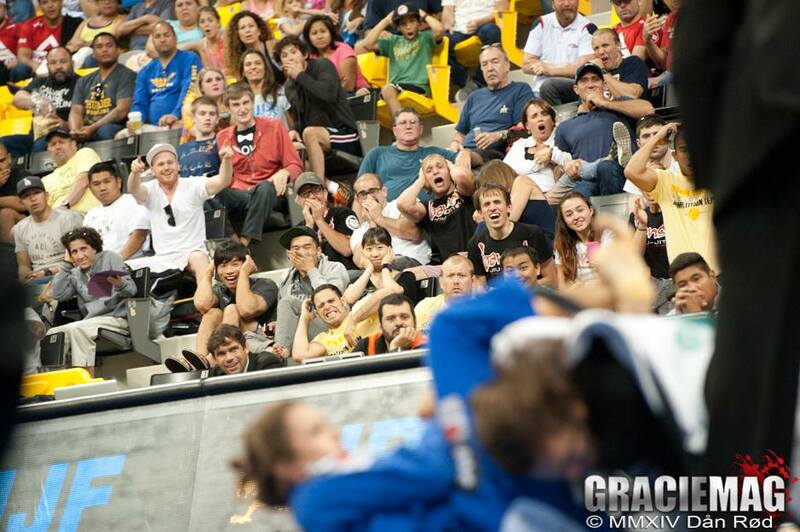 Luiza Monteiro has a nice style as well, beautiful tactical game, and a nice spider guard. How did you get into refereeing? Is that something you want to do for a long time? I consider refereeing as a duty. If you are a higher belt, refereeing is something of an obligation to your local BJJ community. I would like to believe that if some girls see me refereeing black belt finals match, they would think, if she can do it, I can also! Hopefully in the future we can see more women in the center of the mat. When guys see a woman referee, they hopefully start taking us more seriously. MMA is even harder, there are really just a few female referees, you can count them on one hand. I like it, even if it is hard. Exploring and learning new things is fun! What are your plans for the rest of 2013 and next year? Because of my injuries I cannot plan what will happen next year. I am trying to train and improve my game as much as I can day by day. My fiancée Maciej is helping me a lot. Even when I have a bad day, he keeps me motivated and drags me out of the bed straight to the gym :). In October I will be in St. Petersburg, Russia, for SportAccord Combat Games but this time not as a competitor but as a referee. I will try to compete at the Polish Nationals in November and may-be sneak in some triangles! I would like to organize open mats for girls only. The idea is to build a strong women’s BJJ community in Poland. Of course girls from other countries are welcome to join in! I will also try to find sponsors for 2014 IBJJF European Championship, and hopefully accomplish my ultimate goal – IBJJF World Championship in California. Is there anyone special you would like to mention? It would like to thank my sponsors DUEL Wear, MADDOG, and CrossFit Box Krakow. A big kiss to my fiancee Maciej “Sms” Kozak, my parents, and my sister Ewa. Special thanks to my coach Maciej Szczudrawa, Team Grappling Krakow, Berserker’s Team and Random Squad. Amazonian Women’s Jiu-Jitsu is a Florida based organization that Stephanie Dodge started little over a year ago. She organizes free monthly open mats, seminars, and women only camps with well-known world champions. This is how Stephanie describes an Amazonian woman: A woman who is powerful, beyond limits, confident and beautiful. She is a kindred spirit versed in the art of Brazilian jiu-jitsu. She is a warrior. Stephanie was kind enough to sit down with us, and talk about what’s happening in Florida. I am a registered nurse at JFK hospital in Florida. I am a wife and a mother of 2 girls, ages 3 and 8. I got started in BJJ through my husband Jason. He was looking for a gym to train MMA and we started training together. At first I was a little apprehensive but quickly realized that jiu-jitsu is a great self-defense for women, and I wanted to learn the counters to the techniques my husband was testing in me. Currently I am a 3 stripe blue belt under Manoel Soares and train at Jaco Hybrid Training Center, home of the Blackzilians, in Delray, Florida. 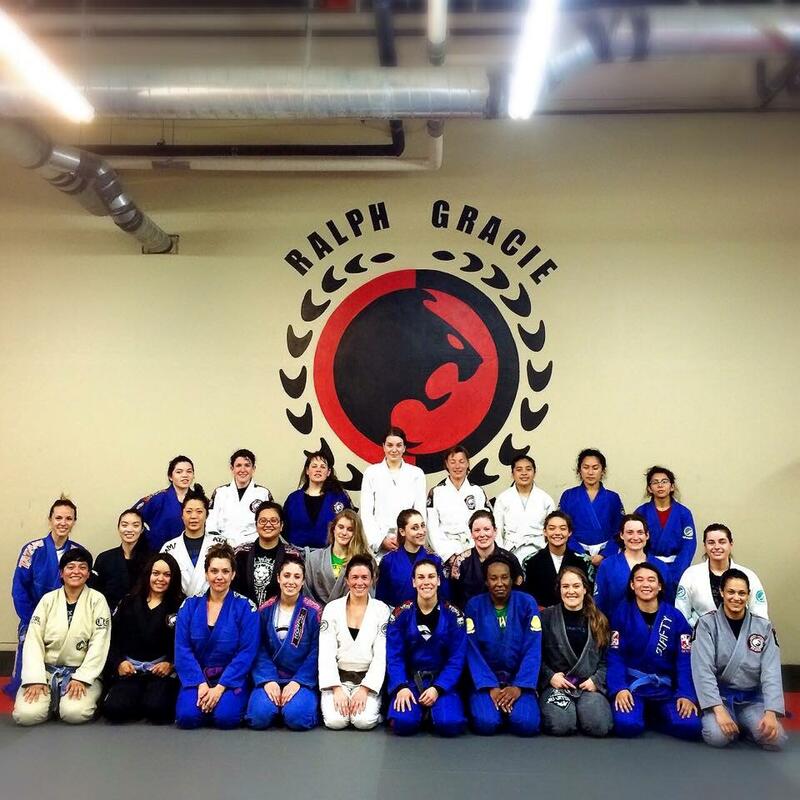 How did Amazonian Women’s Jiu-Jitsu get started? I got the idea to start Amazonian Women’s BJJ when I met 2 other girls that trained. Prior to meeting these women, I had been the only woman at my gym and sometimes, or a lot of the time, men didn’t really know how to roll with women. So I asked the 2 other girls to come and train with me once a month so we could help each other to get ready for tournaments. Around that time I also met Michelle Nicolini, and asked her if we could do a women only seminar with her followed by and open mat. She loved the idea and that’s how it started. We had the seminar with Michelle, and at the event I met another female black belt, Sofia Amarante. She invited me to train with her at her gym in Lauderhill, FL. I asked if we could do an open mat and invite women all over Florida to come and train for free. Sofia liked the idea and we had our 1st Amazonian Women’s Open Mat in March of 2012. It was a great success. Since then we had an open mat almost every month at a different gym. The 13th one was just a few weeks ago. Do you run Amazonian Women’s Jiu-Jitsu alone or do you have any help? I do all the planning for each event on my own. I do depend on the women who attend to ask their professors if the next event could be at their gym. Once I have a location, I plan time, set up the event page and start promoting. Fenom Kimonos has always helped with the event flyers and we share them all over Facebook, bringing in new women at each event. I honestly couldn’t have a successful event every month if the women didn’t do their part in spreading the word among their friends and team. What has been the biggest challenge in organizing the open mats? Have you been able to participate in every event? I think the biggest challenge is not to get stressed out, and taking the time to remember why I started this. Sometimes I worry about if enough girls will show up, if they like the technique, if they like the training, etc. But when I sit back and watch, I realize that even if there are 10 girls instead of 30, we still have a great time rolling, talking, and eating afterwards. As long as we learn from each other and have an open mind, it’s a success. I have participated in every event except for one, when I hurt my shoulder. I was there on the mat with the girls, but could not physically do the technique and roll. It was difficult to sit and watch, but I got to coach instead, helping girls get ready for various tournaments. 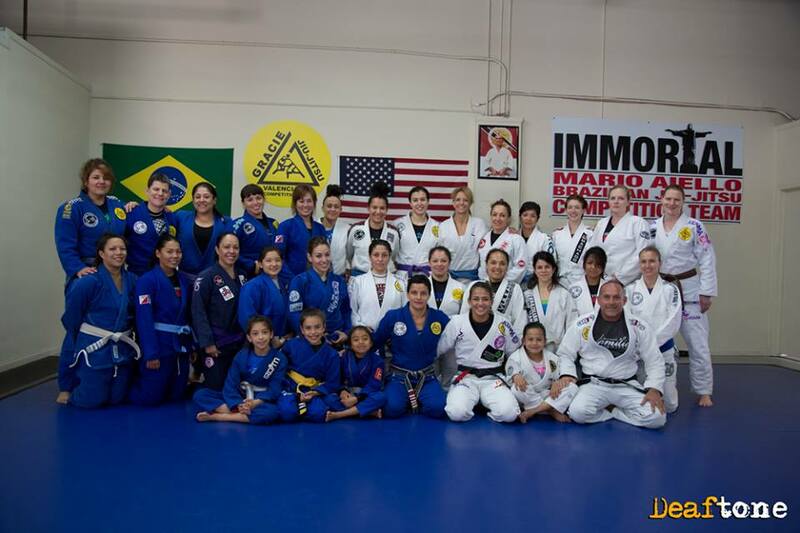 Amazonian Women’s Jiu-Jitsu celebrated its 1st anniversary recently. What events did you have in 2012 and which one was the most memorable so far? The first open mat had a huge turnout. 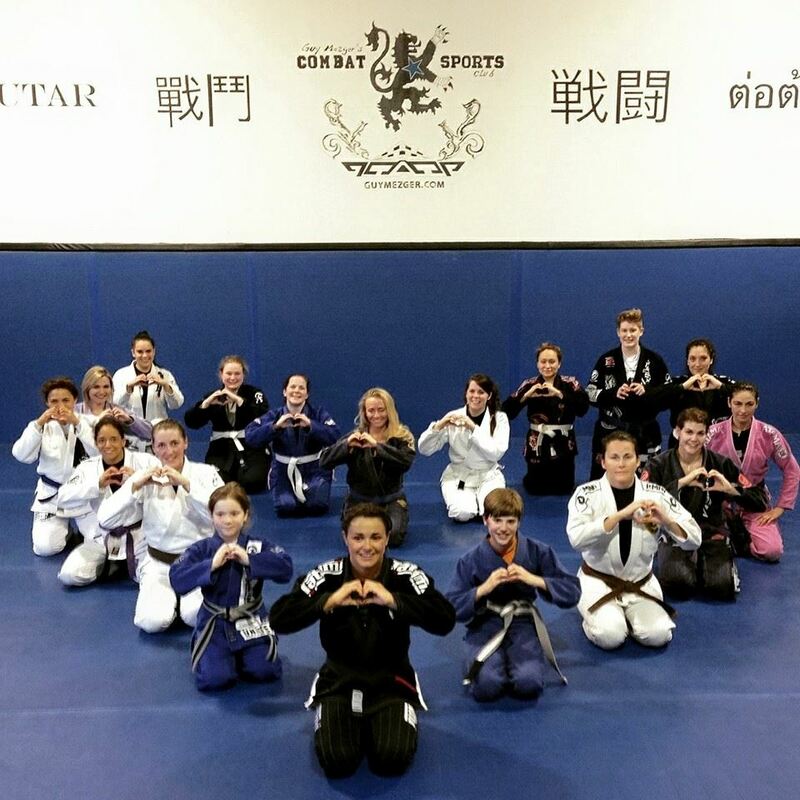 Then we had a training camp with Michelle Nicolini and Sofia Amarante, which was also a success with women participating from all over the east coast. Later in 2012, we had Leticia Ribeiro seminar which was a lot of fun. She is one person I look up to. Meeting her and learning a little bit of her jiu-jitsu was amazing. One of the most memorable events was the open mat at Roberto “Cyborg” Abreu’s FightSports Miami. We had a lot of participants and he said some very important words which I like to go back to from time to time. He said that even though we are from different academies, and fight each other at tournaments, doesn’t mean we cannot be friends. Some of my best friends are girls I met on the mat. When we fight, we fight, but as soon as the fight is over, we walk off the mat hugging and thanking each other for a good roll. This is important for all the Amazonian women to remember. What are the plans for the group for this year? This year started off with some great open mats and our 1 year anniversary. We are planning to have an open mat at Carlson Gracie Puerto Rico in June, then we will be in the Bahamas in July for a women’s self-defense seminar, where I will be teaching some techniques. This is part of the 4-day BOMAC martial arts competition. I am hoping to have either a camp or a seminar with Michelle Nicolini and Sofia Amarante once again, and a camp with Leticia Ribeiro as well. These women are my biggest inspirations in jiu-jitsu. Do you travel to any other women’s camps or open mats? If not, is there an event you would like to attend? There are great groups in Boston, New York City, Texas, California, Arizona, Michigan, Seattle, and Canada. Couple of brand new ones are starting up in Maryland, Mississippi, North Carolina, and Virginia. I would love to go visit all of them at some point. It’s awesome to see how we are growing. A huge thank you to all the black belts that have welcomed us to their schools and shared some of their knowledge. I would also like to thank Triin Seppel with Fenom Kimonos for always helping out with the beautiful flyers, sponsoring us, and promoting the events each month. 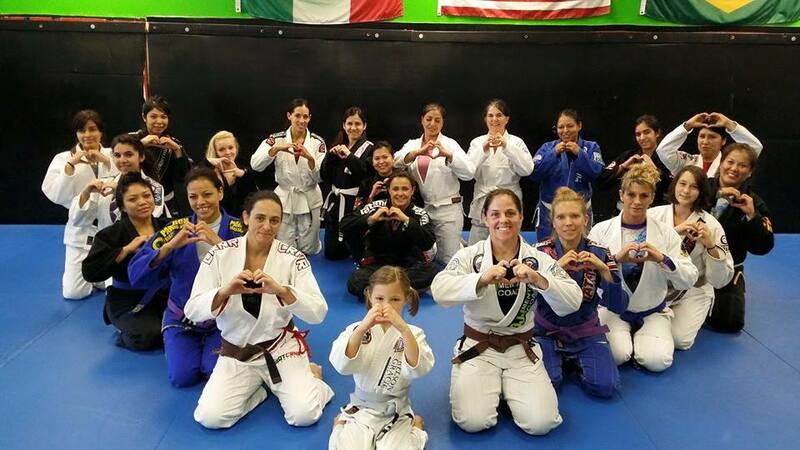 Lastly, I want to thank all the women who have supported Amazonian Women’s BJJ. Whether you have been to one open mat or to all of them, I appreciate you taking time out of your schedule to train with us, and help support me, and my dream of bringing BJJ to more women everywhere. Thank you, train hard and I’ll see you on the mat!